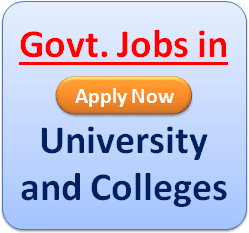 Employee’s State Insurance Corporation (ESIC) Recruitment 2019: Employee’s State Insurance Corporation has recently publish an advertisement notification for Professor, Associate Professor, Assistant Professor Posts vacancies jobs opening for December 2019. The ESIC notification for the Professor, Associate Professor, Assistant Professor Posts, candidates who are interested may apply in the prescribed application format on or before 16/01/2019. The total vacancies in Employee’s State Insurance Corporation (ESIC) Professor, Associate Professor, Assistant Professor posts details are given below. The minimum educational qualification for ESIC Recruitment 2019 for the Professor, Associate Professor, Assistant Professor posts is given below. Candidates Should be Passed Post Graduation Degree / Master’s Degree From Well Recognized University For the Posts. (For more details please check the advertisement). Candidates maximum age limit is 50 years. (For more details please check the advertisement). Professor – PB-3 Rs. 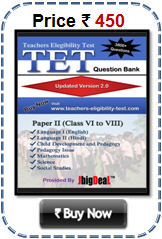 37400 – 67000/- with Grade Pay Of Rs. 8700/- plus Non Practicing Allowance. Associate Professor – PB-3 Rs. 15600 – 39100/- with Grade Pay Of Rs. 7600/- plus Non Practicing Allowance. Assistant Professor – PB-3 Rs. 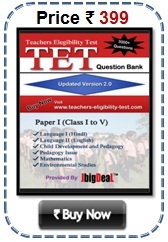 15600 – 39100/- with Grade Pay Of Rs. 6600/- plus Non Practicing Allowance. General and OBC Category Candidates have to pay application fees Rs. 225/-. Candidates belonging SC/ST/Reserved Category they are no application fees. (For more details please check the advertisement). STEP–3: Read the ESIC Advertisement carefully and be ready with the mandatory documents mentioned above and then click on “Register Online” & fill up the Online Application Form with all your details. 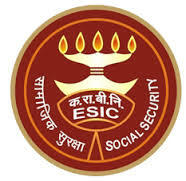 Employees State Insurance Corporation (ESIC) Recruitment 2019: Employees State Insurance Corporation has recently publish an advertisement notification for Tutor Posts vacancies jobs opening for January 2019. The ESIC notification for the Tutor Posts, candidates who are interested may apply in the prescribed application format on or before 08-02–2019. The total vacancies in Employees State Insurance Corporation (ESIC) Tutor post details are given below. Starting Date to Apply Online Application Form: 01-02-2019. Last Date for Submission of Application: 08-02-2019. The minimum educational qualification for ESIC Recruitment 2019 for the Tutor posts is given below. Candidates should possess Full-time graduation A recognised BDS Degree of Indian University or an equivalent with relevant experience. (Please check full details in the advertisement). Application fee of 225/- (Rs. 200/- for Application Fee + Rs. 25/- for Postal Charges) for General/ OBC candidates and Rs. 25/- (Postal Charges Only) for SC/ ST/ Women/ ESIC Employee Candidates through Demand Draft issued by State Bank of India with validity of 03 months in favour of ESI Corporation, Account No 1, payable at New Delhi.